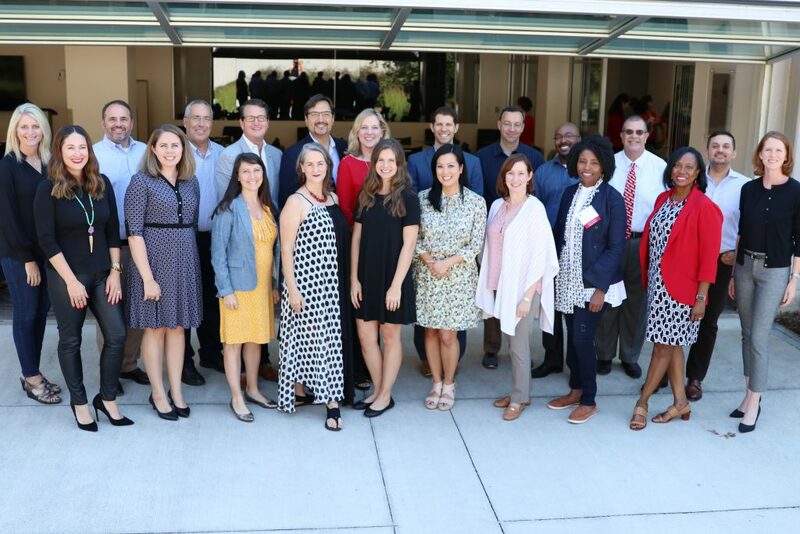 The Grady Society Alumni Board is an advisory group responsible for contributing to, and supporting the development of activities for alumni and friends of the college. The board serves as the conduit between the college and its alumni. It is comprised of members from a variety of Grady majors, professions, geographical areas and graduation years. Back row l. to r.: Laura Reese (ABJ ’90), Bryan Harris (MA ’03), Jim Wallace (ABJ ’75), Tim Davies (ABJ ’84), Kay Flowers Johnson (ABJ ’83), Michael Gray (ABJ ’11), Jim Callis (ABJ ’88), Alex Wallace (ABJ ’04), Dean Charles Davis (MA ’92) and Peter Dale (ABJ ’99). Grady Society Alumni Board. View past boards here.